I paint intense colors with sharp contrasts, but ballerinas are not to be treated so harshly. 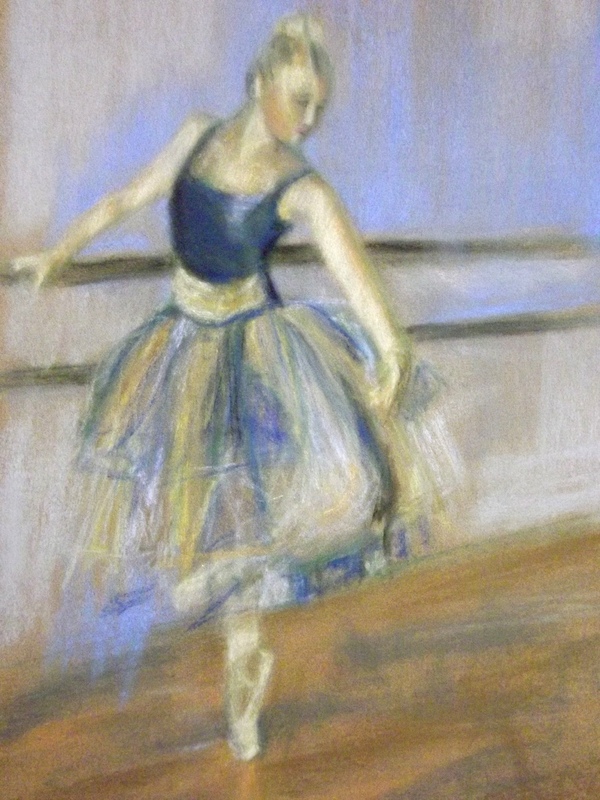 Softly, loosely, gently was the way of this painting of a beautiful and accomplished dancer. The cool tones of this piece lend themselves to the more subtle mood.